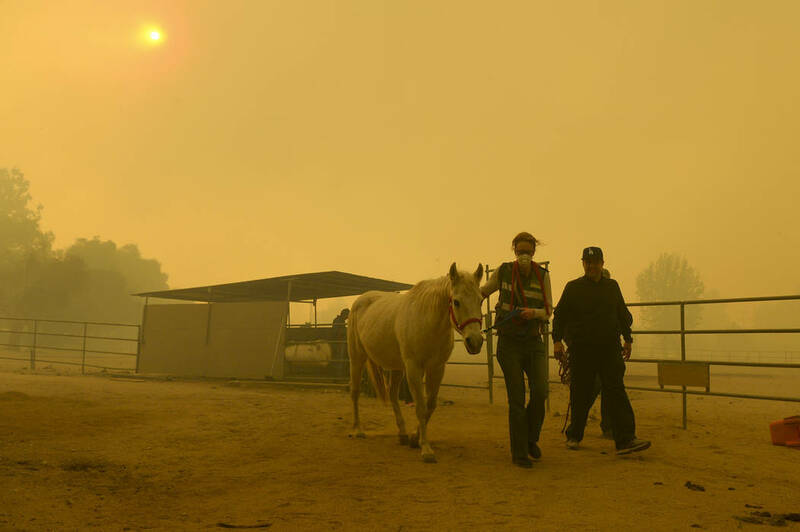 The outpouring of support after last week’s tragic fire at San Luis Rey Downs in northwest San Diego County, which killed 46 horses, may ultimately burn as brightly as the so-called Lilac wildfire itself. When a wildfire roared through San Luis Rey Downs last week, it incinerated many of the barns at the training center in northwestern San Diego County. 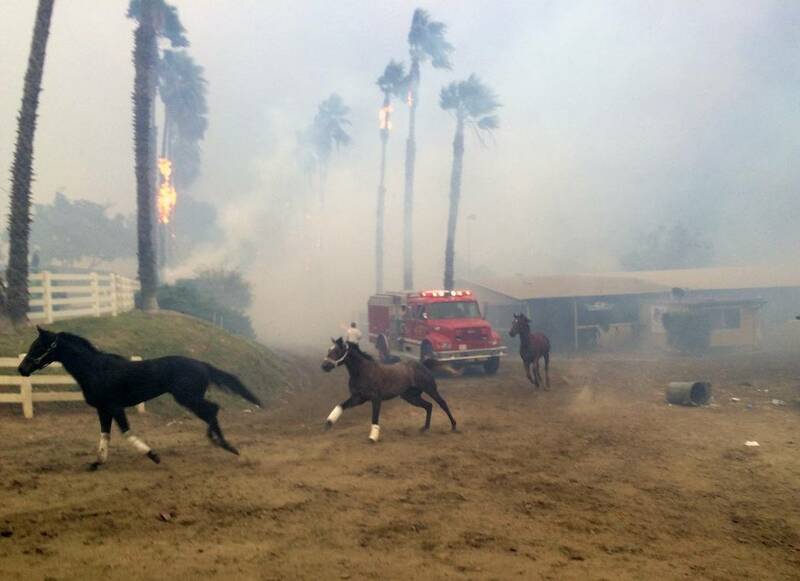 Despite frantic efforts to save the roughly 450 horses on the grounds, 46 of them perished in the inferno. The response to the tragedy may ultimately burn as brightly as the so-called Lilac wildfire itself. 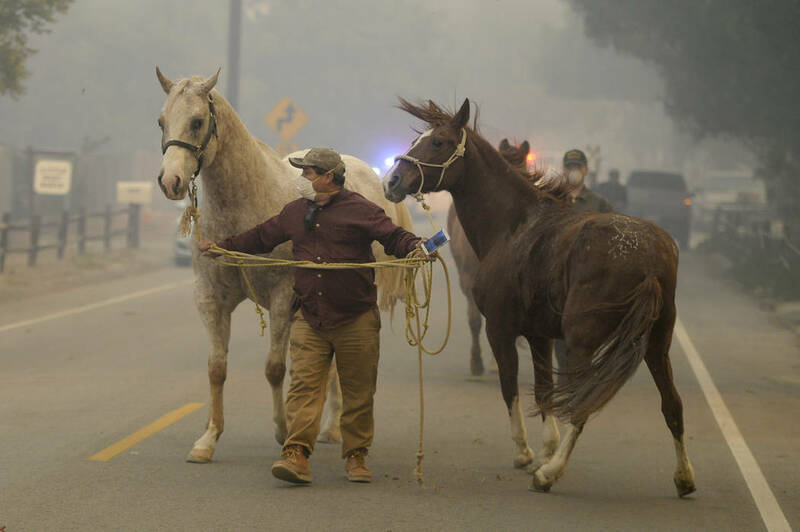 It has ignited an impressive outpouring of support for the horses, their owners and roughly 250 handlers who were displaced by the fire that has provided some solace to even the most bereaved. 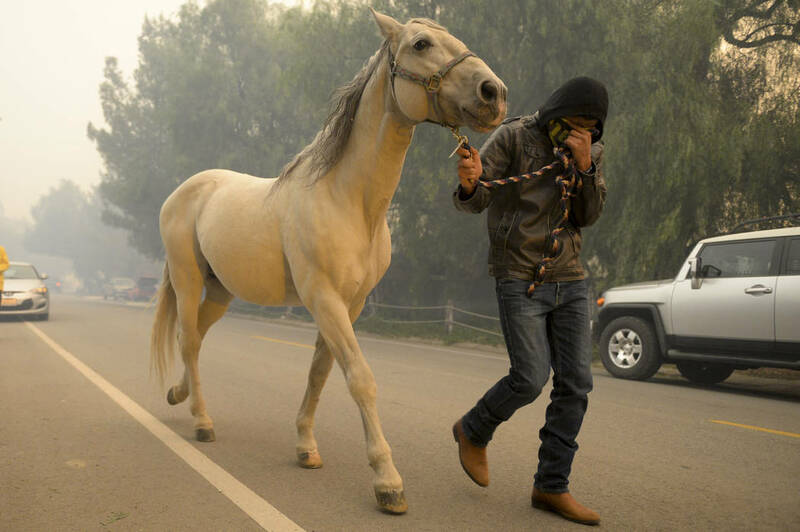 The aid came in many shapes: Nearby residents rounded up and cared for dozens of horses that escaped the flames; folks with horse vans helped transport them to safety; and “horse people” of all stripes rushed supplies to the area. At Santa Anita, track management and backstretch workers quickly organized a drive to collect supplies such as feed, bedding and blankets and rushed them southward. Del Mar racetrack, which had just closed for racing after hosting its first Breeders’ Cup, quickly stirred back to life and took in more than 900 horses, including about 260 horses that were stabled at San Luis Rey Downs, as well as dogs, goats, pigs and other four-legged critters displaced by the fire. Many who were too far afield to help in person sent money, quickly propelling a GoFundMe account set up by Santa Anita, the Stronach Group and Del Mar past its initial goal of $600,000. The California Thoroughbred Horseman’s Foundation, which acts as a safety net for the state’s horsemen and women, didn’t solicit donations, but they began pouring in anyway. “When people became aware of our 30-year history of assisting people who take care of the horses, word of mouth got out and we are the fortunate recipients of that generosity,” said Cliff Goodrich, the group’s executive director. The organization also is using its status as a 501(c)(3) nonprofit organization to serve as a conduit for the GoFundme account, and almost immediately began distributing contributions to grooms and trainers — including two who suffered serious burns and remain in the hospital — who face big medical bills or are having to start over after losing their homes and possessions. The need is hardly erased by the strong start. The Las Vegas area has responded generously to the Oct. 1 tragedy that unfolded here, but if there’s anything left in your giving jar, please consider helping those who are trying to rebuild their lives and livelihoods at https://gofundme.com/thoroughbredcare. The horses that survived can’t say thank you, but the folks who gave their all to save them will make sure they feel its impact. The torrid #RJhorseracing handicapping corps, who have correctly picked the winners of seven straight featured races, are putting the streak on the line in Saturday’s ninth and 10th races at Gulfstream Park — the Harlan’s Holiday Stakes, a Grade 3 for 3-year-olds and up at 1 1/16th miles on the main track, and the Tropical Turf Stakes, a Grade 3 for 3-year-olds and up at a mile on the lawn. In the former, the crowd ’cappers fancy Destin, the 5-2 morning line favorite who is dropping in class out of the Clark Handicap (G1) at Churchill Downs, over Page McKenney (6-1) and Fear the Cowboy (7-2). “Will be placed well,” said handicapper Thomas Hinkel of the favorite, referring to his just-off-the-pace running style. I agree that Destin is the horse to beat, but I’ll try with Flatlined (6-1), a graded stakes winner on turf who won on the main track early in his career. In the 10th, the handicappers were closely divided but came down in favor of 2-1 favorite Blacktype, who narrowly outpolled Tower of Texas (6-1) and Western Reserve (12-1). Ever the contrarian, I’m going with Tower of Texas, a Canadian shipper who has faced some of the best turf runners in North America in the past few years. We’d love to have you join us. To get involved, simply email me to be added to our weekly email list, which also will get you a breakdown of the balloting by our ace handicapper. Or you can follow me on Twitter. Contact Mike Brunker mbrunker@reviewjournal.com or 702-383-4656. Follow @mike_brunker on Twitter. What does it take to win the National Handicapping Championship?